Vidalia, Mississippi – (The Natchez Democrat) According to a report in The Natchez Democrat, traffic on the westbound side of the Mississippi River Bridge was unable to move for about an hour after a three-car collision. The chain reaction wreck started when a driver braked suddenly, causing two vehicles behind it to collide with it. No one was hurt in the accident described above, but chain reaction accidents often cause fatalities, serious injuries, and lots of property damage. 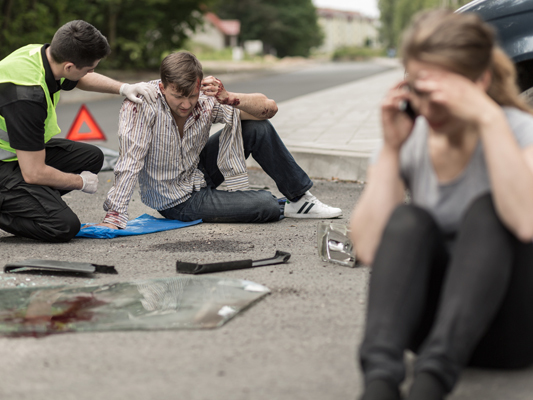 If there is traffic in the area when a chain reaction crash happens, accident victims are at risk of getting hit by passing cars whether they can get out of their wrecked vehicles or not. People trapped inside of vehicles can be hard to rescue if there are other vehicles in the way, or if subsequent impacts damage their vehicle even more. Any collision can turn into a chain reaction accident, although it’s more likely if there is heavy traffic or bad weather. Fortunately, there are some things that drivers can do to help prevent chain-reaction wrecks. For example, you can reduce your speed and drive more cautiously if you notice that visibility is low because of fog, rain, snow, dust, or other conditions. Reducing your speed gives you more space and time to respond to anything you see, like the movements of other vehicles or objects in the road. Also, always leave plenty of room between your car and the car in front of you. The amount of space you need varies with road and weather conditions, but on dry roads with good visibility, leave at least one car length for every ten miles per hour of speed.